If you love adventure with a dose of luxury, the 2017 Jeep Cherokee Latitude just might be your dream car. Available in both front-wheel drive and 4x4 capabilities, this outstanding SUV is constructed with high-strength steel and features lightweight architecture for a bold yet agile performance. An aerodynamic exterior surrounds a quiet, tech-filled cabin that seeks to enhance your drive in countless ways with premium touches like a leather-wrapped steering wheel, deep tint sunscreen glass, and the intelligent Uconnect® infotainment system. The Jeep Cherokee's Latitude trim easily owns the trail with aggressive all-season tires and elite features like the Selec-Terrain™ system. Ride safely on tricky terrain thanks to the over 70 safety features and driver assistive technologies available in this compact adventure SUV. Take a better look when you visit Cassens and Sons Chrysler Dodge Jeep Ram and test drive a 2017 Jeep Cherokee Latitude near Belleville, IL! From new and used to commercial and bargain inventory, Cassens and Sons Chrysler Dodge Jeep Ram is your friendly neighborhood dealership in Glen Carbon, IL! Conveniently located near Belleville, Florissant, and Edwardsville, we invite you to visit our lot and showroom to find your dream car, get professional parts and service, or just browse the vehicles we have to offer. Stop by, learn about our incredible special programs and vehicle incentives, and get to know the 2017 Jeep Cherokee Latitude for sale in Glen Carbon, IL! 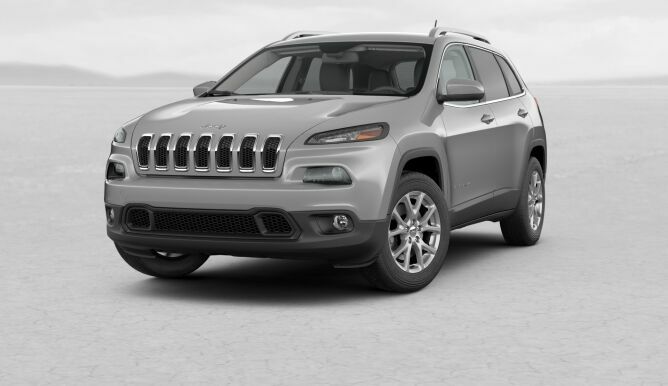 The 2017 Jeep Cherokee Latitude takes outdoor adventure and boosts it to the next level with a refined exterior featuring strong, aerodynamic lines. Color-keyed door handles and power external mirrors complement vibrant bi-xenon High Intensity Discharge headlamps, LED Tail Lamps, and visibility-enhancing fog lamps. 17-inch aluminum wheels reveal bold all-season tires and elegant keyless and illuminated entries provide a high-end welcome into the vehicle. Inside an exceptionally quiet cabin, ambient LED interior lighting and deep tint sunscreen glass create a luxurious feel. Ride in comfort on manual six-way front seats and enjoy premium versatility with 60/40 folding split recline seats in the rear. Keep up with your modern life behind the wheel with the Uconnect® 5.0 touchscreen display infotainment system, which uses integrated voice command and Bluetooth® technology to put you in distraction-free command of audio, calls, texts, and more. 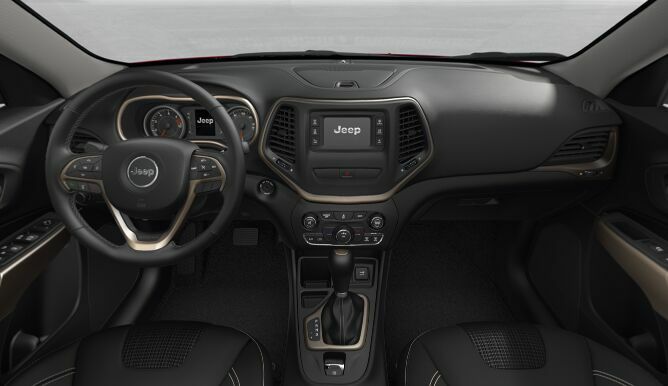 Convenient audio controls mounted on a leather-wrapped steering wheel and the innovative Jeep Cargo Management System featuring a collapsible cooler and storage locker help round out the incredible versatility and performance offered by the 2017 Jeep Cherokee Latitude in Glen Carbon, IL. Visit Cassens and Sons Chrysler Dodge Jeep Ram to learn more! At the heart of the 2017 Jeep Cherokee Latitude is a 184-horsepower 2.4-liter I4 MultiAir® engine and a host of advanced features that make it an outstanding compact SUV. Boost your Latitude's capability to the next level by opting for the available 3.2-liter V6 24-valve engine, featuring smart Variable Valve Timing technology. Both engines feature superior efficiency and are paired with an elite nine-speed automatic transmission. Available in both front-wheel drive and Jeep Active Drive 1 4x4 versions, the Cherokee Latitude is brimming with weather-capable, trail-ready performance with features like anti-lock four-wheel disc brakes and the Selec-Terrain™ System. All-Speed Traction Control, Electronic Roll Mitigation, and a 2,000-pound towing capacity are also present, making it easier and safer to push the boundaries on your adventures. 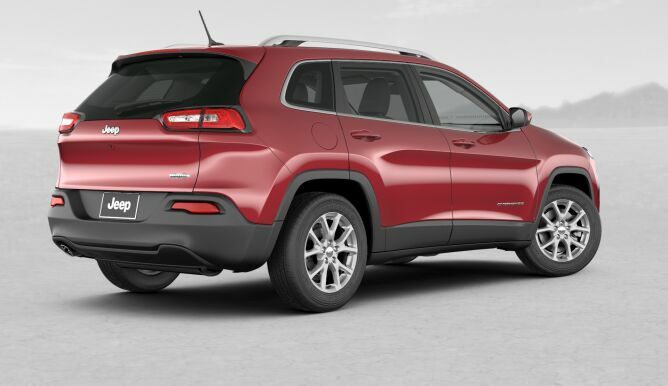 Speaking of safety, the Jeep Cherokee Latitude is packed with high-tech safety and security features including advanced multistage airbags, the handy ParkView™ Rear Back-Up Camera, and an enhanced accident response system - all working to protect you and your passengers on the road. Visit Cassens and Sons Chrysler Dodge Jeep Ram and browse our 2017 Jeep Cherokee Latitude inventory near Belleville, IL to learn more!